There are few white Burgundies I look forward to drinking more than DRC's Montrachet. The expression of Chardonnay can vary to such an extreme degree; from super-opulent wines like the 1988 and 2008 to much leaner, more vibrant years such as the 1996, 2004 and 2010. Of these five Montrachets, the most surprising is the 2003, which can only be described as a huge overachiever within the context of a torrid growing season. With the exception of a less than perfect bottle of the 1989, the other wines in this mini-vertical all showed consistently with prior tastings. The 1988 Montrachet is gorgeous. This particular bottle is less exotic and more structured than some of the others I have had recently. Here it is the wine's sense of phenolics and overall structure that dominate over some of the more tropical, buttery notes I have seen in the past. The 1988 Montrachet is a thrill a minute. At times the 1988 is quite extroverted, while in other moments it is much more buttoned up. 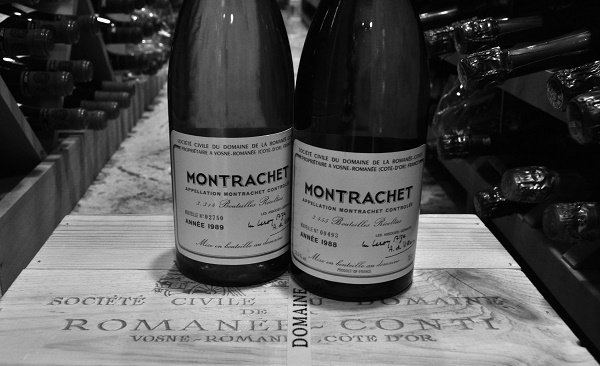 Either way, the 1988 Montrachet dazzles from the very first taste. It should continue to drink well for at least another decade. 97+/Drinking window: 2014-2028. Sadly, the 1989 Montrachet never comes together in the glass. The color is good and there are no obvious flaws aside from a less than perfect cork, but the 1989 remains monolithic and unexpressive. I suspect a flawed bottle here, which is a real shame. ?/Drinking window: 2014-2019. 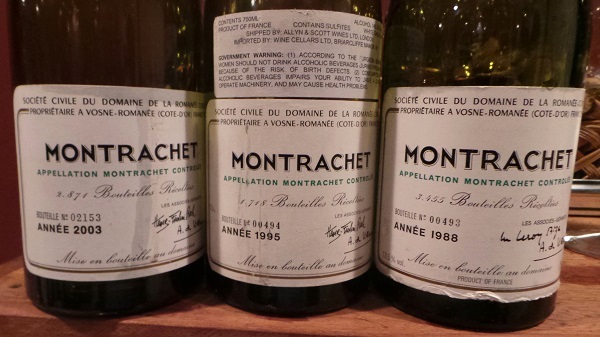 The 1995 Montrachet stands out for its aromatics and finesse. At nearly 20 years of age, the 1995 is fresh, perfumed and silky. Lemon oil, white flowers and mint are some of the notes that emerge from a Montrachet built on nuance and delineation. The 1995 is a gorgeous wine to drink now and over the next 10-15 years. Although the 1995 doesn't have the exoticism or resonance of some vintages, it nevertheless impresses for its total harmony. This is an especially restrained bottle of the 1995. 97/Drinking window: 2014-2030. The 2003 Montrachet is one of the most eye-opening white Burgundies I have ever tasted. At eleven years of age, and from one of the most unrelentingly hot growing seasons ever witnessed in Europe, would you believe the 2003 is fresh, vibrant and utterly impeccable? I wouldn't have either, had I not tasted and drunk the wine myself. To be sure, the 2003 has the broad shoulders and phenolic weight of a ripe year, but, oddly enough, there is no suggestion of over-ripeness. The overall sensation is of a Chardonnay with Pinot-like structure and resonance. Rich and powerful to the core yet also remarkably fresh, the 2003 is really a small miracle in a glass. I can't describe it any other way. 96/Drinking window: 2014-2033. Crushed rocks, oyster shells, flowers and yellow orchard fruit meld together to form a breathtaking tapestry of aromas, flavors and textures in the 2004 Montrachet. Vibrant and alive in the glass, the 2004 pulses with energy, perfume and silky fruit. Today the 2004 is firing on all cylinders and should continue to thrill those lucky enough to own it for another two decades or more. What else is left to say? 98/Drinking window. 2014-2034.